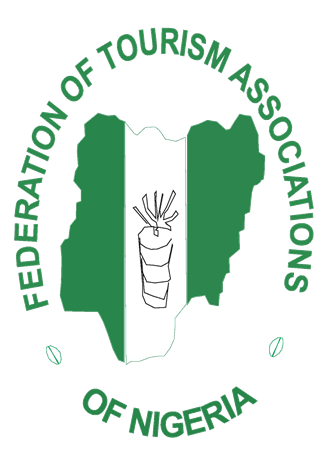 RABO Saleh, President, Federation of Tourism Associations of Nigeria (FTAN), says the resuscitation of the Argungu Fishing Festival defends on the dredging and preservation of the Argungu River. Saleh told the News Agency of Nigeria (NAN) on Friday in Abuja that the Argungu Fishing Festival, while in its prime, had boosted the nation’s tourism image. NAN reports that the festival which started in 1934 and catapulted Nigeria to the global tourism map, has not been held for the past 10 years. “Part of the problem is climate change that affected that area; the information we are getting is that there is no more water at the river where the festival used to take place. “The best way out is to drain the river so that during the rainy season more water can stay there; or block water from going away completely so that water can be retained. “When such is done, it will go a long way to address the issue of low level of water that may affect the frequency of the festival,’’ Saleh said. The FTAN president, however, noted that the Osun/Oshogbo Festival and Calabar Carnival were all running very well. According to him, there is need to give festivals in the country more publicity and get local people involved in promoting cultures and creating understanding. “One of the greatest assets for tourism attraction is our culture; Nigeria is blessed with so much culture from different parts of the country. “We need to repackage these cultures and put them in tourism products so that our tour operators can sell them to attract patronage from within and abroad. “For instance, the Abuja festival could not take place last year, they say it will take place after the election; I don’t support that because that is just an avenue to spend and waste government money. “We should do better things in promoting tourism than just spending government money on things like Abuja Festival, which is a duplication of other festivals in the country. “We should be asking ourselves how we can package and harmonise festivals and other cultural activities across the country to benefit the people and government,’’ Saleh said. On the agitation by FTAN for establishment of Tourism Police, the president said efforts were on to get the police hierarchy attracted to the idea. According to him, the tourism police would be solely responsible in providing security to tourists in the country. “We have written to the Nigeria Police and like you are aware, currently there is an acting Inspector-General of Police so we are waiting and hoping that he will be confirmed. “We will approach him again in the hope that he will revisit this issue because security in tourism is very important. “Without the police playing their roles as guards for the citizens and visitors coming into the country, we will not be able to achieve stable tourism growth or industry. “So, we will go back to him and by God’s grace, he will listen to us and give us the needed attention to achieve this in no distant time,’’ the FTAN chief said. He promised that if established, the tourism police would be trained in tourism and hospitality policing and provided with necessary tools to make their work easier.